We gazed at the dog, and the dog gazed back at us. “So you think he looks like George Harrison circa 1970?” I enquired at length. The dog sat there. He might have wondered briefly, hopefully, if a walk was in the offing. Or chow. Chow would be nice. “Can you think of someone who is more like Macaulay? ” I asked Phil. The dog looked quite interested. By jove, he was right. The dog and I looked impressed. But we have been invited away on an overnighter tonight, and there is no way you can take Roy Wood from Wizzard, smelling like a rank barnyard, away with you. Especially as there’s a rather beautiful blonde bombshell waiting for Macaulay when he sets paw out of car on Kentish ground. With this in mind, we resolved to do the unthinkable, the futile, the pointless: we resolved to give the dog a rare bath. And all of a sudden, the dog was not there any more, vanished like a silverfish into the skirting board. Dogs are sensitive to mention of bath. A bath was drawn, luke warm, and special shampoo set on standby. Two huge fluffy towels sat nearby awaiting duty. And the children had brokered a deal in which they were allowed to watch but not laugh. That would be mean. The dog came to his name but the moment he gained a whiff of what was afoot he tested our fielding skills roundly. Every available exit was tried, more than once. But inevitability hung above the dog’s head in a fine mist and glumly, he ceded and was lifted into his first bath for six months. Was there ever a more wretched sight than the dog submiting to a shampoo? But submit he did, and when it was all over and the fluffy towels were heading for the fumigator, he heaved a doggy sigh of relief and reclaimed his favourite cushion, perfecting a pungent air of reproach calculated to ruin his tormentor’s evening. But all was not over. Remember when, in the seventies, mums had a habit of sitting their kids in the middle of the kitchen, putting a bowl on their head and using it as a guide for a haircut? The pudding bowl haircut chills me even today, though I was never subjected to it. 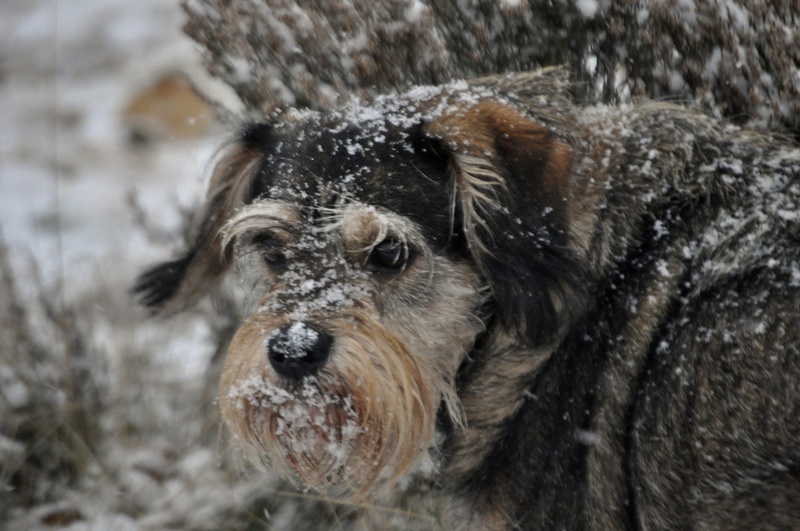 That same chill crept over the dog as he saw his owner pick up a stout, sharp pair of scissors. School fees dictate that our dog cannot have quite the primping and preening he once did. Instead, we must make him look respectable as best we can, and make do with only one formal groom a year, in early Summer. And so I had decided it was time to trim the dog up a bit. You what? he shouted, non verbally. This was not cricket. He assumed the air of Bertie Wooster cornered by a particularly fierce aunt. But I had adopted the no-nonsense matronly approach as I hacked enthusiastically into his languorous moustache, snipped those foppish spanielesque ears and edged his outrageous eyebrows. Knowing when to stop is the trick. I said, “hold on. I just want to snip this bit so he’s not lopsided.” And Phil tried not to imagine a bald dog half an hour hence. However: we have a smart, disgruntled, clean dog on his cushion, all ready to meet his lady friend. Let us hope he is on his best behaviour. Posted in Macaulay The Dog storiesTagged baths, dog grooming, dogs, george harrison, humor, humour, roy wood, wizzardBookmark the permalink. The dog was not amused, Tandy….and the maps: well’ I’m chasing a facsilime with all speed. Are you sure that Phil does not look like Macaulay? they do say that dogs tend to look like their owners. His little face in the bath is a picture. I have been meaning to shave the beard and moustache off for months. Poor Mac! Toby and Molly send sympathy. Thanks Tilly. I shall pass them on to Mac. All at HQ extend their sympathy to young Mac! You should have had direct ‘before’ and ‘after’ pics, but the snow one does give an indication. Not a bad job, at all. Loved this one Kate. 🙂 Is there an image of the re-RoyWooded Mac? I used to show my English Springer Spaniel so he was accustomed to having baths – but bore it grimly on the strict understanding there would be “towel games” immediately afterwards – meaning I’d wrap him completely in huge towel and he had to find his way out and then kill the towel thoroughly. Towel killing. I shall make a note of that, Jan! Thanks! Mac, currently, has not forgiven me for pointing a lens at him in the bath. He refuses to stay still for a decent preppy pic. Curses. I am beginning to wonder whether Mac sends you secret beseeching letters, Rafael. I am sure that is almost precisely what he was thinking. You could be Mac, Nancy 😀 Fantastic captions! I think you are right, Hope. He has built up a careful patina over the months. Now he will have to start all over again. I read this. Looked down at Elvira, She vamoosed to hide out somewhere. 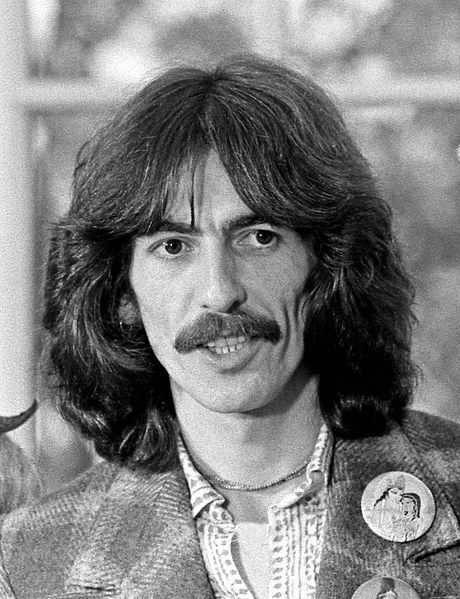 I just colored my hair last night – and find I DO look a bit like George Harrison. Oh dear . . . so glad Sir Thomas did not take pictures of me in the process. A sad fact of life, the bath, PT. We have arrived and the hosue we are staying in is just beautiful. I am so glad we bathed the dog!!! Hi Pen! Yes, bath is a necessary evil. A lot of the time we don’t do it because Mac has a rather sensitive skin and scratches when he is bathed: but every now and then it must be done. And watching his activities over the last 24 hours I am mightily glad we did. Macaulay, you look mah-vahl-ous. Thanks for the laugh, Kate. I remember those days well. Imagine bathing a St. Bernard! What a trip! Now something I would ever embark upon, Judy….you’d need a winch, wouldn’t you? Dear Kate, when do we get to see the photographs of the groomed Macaulay awaiting his guest????? Peace. When I was about nine or ten, we had a huge German Shepherd. It was my job to get the garden hose and a bar of flea soap and give him a bath in the yard. There was no tub. Basically, we wrestled together and even rolled over a few times and both received a flea bath. Macaulay looks very cute in the snow. He looks very cute in the bath . I’m sorry he doesn’t like it. Is his relationship with the blonde serious? A german shepherd! That must have taken some doing, especially for a young person! Still, every cloud has a silver lining and I assume you had a gloriously flea-free childhood. His relationship with the blonge is long distance…. I adored that dog. Even to this day I feel a certain nostalgia when I smell a bar of flea soap. It’s not bad, actually. You didn’t mention Mac doing the “get even shake” at the end of his bath — a specialty of my childhood hound, Mean Streak. Did you and Phil pounce him at warp speed with those fluffy towels denying him the opportunity to perform that sliver of revenge? Where was Clive Bond during all this exercise in canine humiliation — hiding behind a vase atop the highest cupboard in the Shrewsday Mansion? We did indeed pounce on him, Lame, though the shake came and photos just record a black-and-tan blur…Clive was nowhere to be seen but did try to ambush the dog once it was all over. Ha! I shall 😀 I’m sure Mac will appreciate that.. I sincerely believe that Master Mac shall have his retribution and that in a few short days we will be reading a post of same. I shall keep you closely informed, Lou. Thank you for the midnight reading smile – I am spoiled for my retired parents dote on my pup during work days, ergo, my mother gets it in her bonnet to give baths. I called on my break last week to see if she had the dog and her reply was, “yes, and she is getting a B A T H.” Zoe knows bath – but she easily admits defeat and actually will climb into tub! 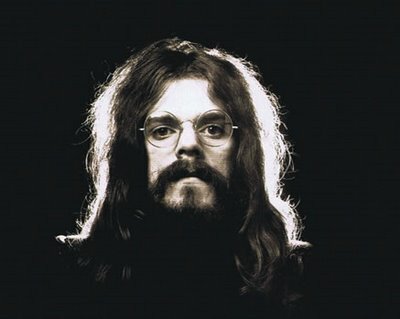 Some wonderful pictures of the dog in the bath, and the Roy Wood similarity is startling. I’m such a big George Harrison fan, I’m kind of glad we moved on from there! 🙂 That is one adorable dog, Kate. Wet or dry, dirty or clean. He’s such a love! This was so, so nostalgic for me. Wow! To re-live those Beatles days once again…..
Do you remember those few news snippets which came out after George Harrison with the other three in tow visited Maharishi Mahesh Yogi’s ashram in India? 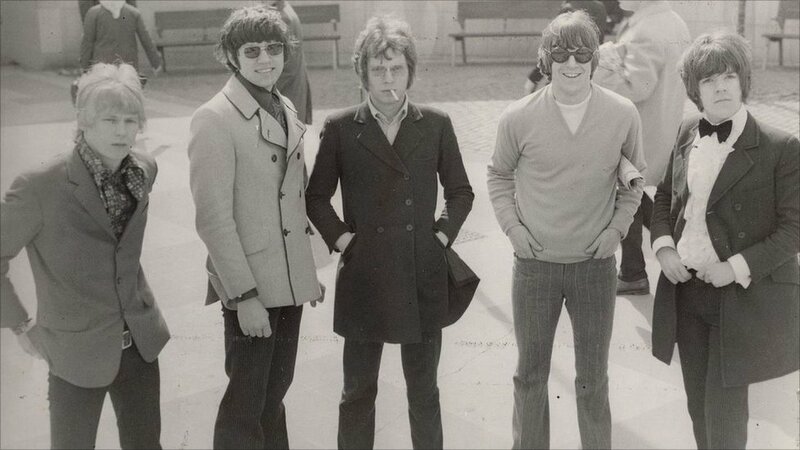 And the flowing hairstyle ( apart from a different lifestyle) adopted by the fab four? George Harrison, Macaulay, and Wodehouse all in one post? I tip my hat!